Elk Meadow Ranch is an ideal family retreat in the desirable and historic Evans Ranch. There are few if any properties located within an hour of Denver that offer the privacy, pristine mountain setting and recreational opportunities of Elk Meadow. Use of the entire 3,245± acre Evans Ranch and adjoining public lands is another amenity that can’t be duplicated. 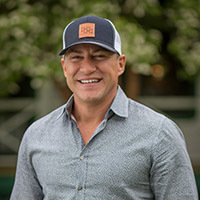 A shared ranch manager handles the day to day caretaking and maintenance of the property allowing ownership full enjoyment without these responsibilities. Evans Ranch parcels are rarely offered for sale. This is a unique opportunity not to be overlooked. Elk Meadow Ranch is one of five ownerships in the magnificent 3,245± acre Evans Ranch situated west of Evergreen Colorado. This offering includes approximately 700 acres of pristine, protected land, of which 540± acres lies within the Evans Ranch with an adjacent 160± acres outside of the Evans Ranch Preservation Association. Centered along Vance Creek, Elk Meadow is exceptionally private but only 20 minutes from the amenities of Evergreen and an hour from downtown Denver. The property backs up to literally hundreds of thousands of acres within Pike National Forest, which also contains the 73,000 acre Mount Evans Wilderness area. Massive old-growth spruce, as well as carefully managed forest, lie along the slopes of Vance Creek. The combination of forest and open meadows form the perfect environment for large herds of elk, mule deer and other wildlife that are rarely disturbed in this protected holding. A very comfortable four bedroom family home compliments Elk Meadow Ranch. The historic Evans Ranch dates to 1868 when Territorial Governor John Evans and his family started acquiring land in this area. Ultimately the property contained over 5,000 acres. In 1983 some of the Evans family heirs sold 3,200± acres of the property to Colorado Open Lands. This lead to the sale of five parcels within the ranch that is now known as the Evans Ranch. This area is protected from further subdivision by the Covenants of the Evans Ranch Protective Association “ERPA”. A small sixth parcel contains ranch headquarters and housing for ranch personnel which is shared by the five owners. Each of the five ownership parcels has a designated 40-acre homesite parcel. Ranch Covenants contain provisions that allow shared use of the property, excluding the five homesites, for recreational uses and purposes. Essentially the owners share this large ranch holding that is much preserved in its undeveloped state. 700± acres of pristine, protected land a short distance west of Evergreen and an hour from downtown Denver. Joins hundreds of thousands of acres within Pike National Forest, which also contains the 73,000 acre Mount Evans Wilderness area. 540± acres of Elk Meadow Ranch lies within the magnificent end of the road Evans Ranch. The property includes an adjacent 160± acres outside of the Evans Ranch Preservation Association. Evans Ranch Preservation Association consists of 3,245± acres with five ownership tracts. A shared ranch headquarters and ranch employees provide complete maintenance services for the ranch property. Ranch Covenants contain provisions that allow shared use of the entire Evans Ranch for recreational uses, excluding a private 40-acre homesite for each ownership. This does not include land outside of Evans Ranch. Evans Ranch ownerships have been tightly held over the years and rarely come on the market. The combination of location and ability to enjoy thousands of acres of carefully maintained privately held land protected by extensive National Forest and state lands is truly unique along Colorado’s front range. Elk Meadow improvements consist of a very comfortable four bedroom family home and storage shed. A complete set of ranch improvements including hunting clubhouse is shared with the four other owners within Evans Ranch. Vance Creek and its numerous small ponds run the length of the property. Elk Meadow is 700± deeded acres of classic Colorado mountain country. Vance Creek runs through the central area of the property over one and a half miles. The western stretch of the creek is a peaceful mountain stream in old growth forest. As the creek flows east the terrain opens up into productive meadow. Numerous small ponds are located along Vance Creek. Forested hillsides occupy both sides of the Creek area. The combination of moderate to dense timber, water and open meadow is ideal wildlife habitat. Improvements on Elk Meadow consist of a comfortable family home and small detached workshop. The home lies to the north of Vance Creek providing views of the valley, surrounding hillsides and mountains from its deck. No other homes, buildings or night lights can be seen from the Elk Meadow home. Of the 700± deeded acres approximately 540 acres are within the Evans Ranch Preservations Association “ERPA”. The remaining 160± acres are contiguous but not within ERPA. Within each ownership is a designated 40-acre homesite. No subdivision of the five ownerships is permitted. This covenant assures that Elk Meadow and the surrounding environs will remain much as they are today, which is much as it was 100 years ago. Elk Meadow is located in the mountains west of Denver, Colorado. It lies east of Mt. Evans, one of the dominating peaks of the Denver skyline. The nearest town is Evergreen which is a 10 mile or 15-20 minute drive from the homesite at Elk Meadow. The central business district of Denver Colorado is approximately 40 miles by road or an hour drive east of the ranch with the western Denver suburbs and town of Golden accessible within 30 to 45 minutes. Denver International Airport is within 90 minutes of the property. Centennial and Rocky Mountain airports, capable of handling most private aircraft, are located approximately an hour from the property. 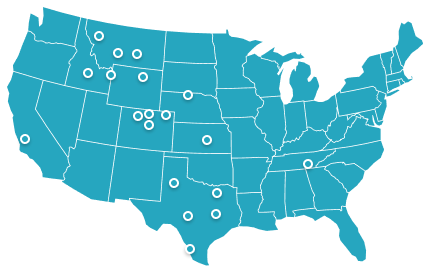 Denver is currently one of the most vibrant communities in the United States. A full array of business and social opportunities are a short drive from the privacy and seclusion of Elk Meadow. Evergreen is in the foothills between Denver and the property. This scenic town is part of the Denver Metro area but maintains its own identity as an attractive community, offering shopping, dining, business services and recreation. Large open space areas are nearby with hiking, biking, wildlife and horse trails. Evergreen Lake provides fishing, boating and winter ice skating. The well known Hiwan Country Club provides a challenging mountain golfing experience. The west side of Evergreen contains the coveted Upper Bear Creek Valley, home to a number of exceptional properties. Elk Meadow lies within this drainage a bit further to the west. Elk Meadow is one of the five parcels in the secluded end of the road Evans Ranch. This 3,245± acre preserve joins Pike National Forest with literally hundreds of thousands of acres undisturbed land. Within the national forest and a half mile from the west line of Elk Meadow is the Mt. Evans Wilderness Area. Mt. Evans Wilderness Area contains 73,000 acres and the peaks of Mount Evans and Mount Bierstadt both of which are among Colorado’s famous 14,000-foot peaks. Elk Meadow Ranch and the entire Evans Ranch are essentially an extension of this pristine wilderness. Few properties have the combination of the privacy and pristine quality of the landscape exhibited by Elk Meadow with a location only 30 minutes from the amenities of a major metropolitan area. Elk Meadow ranch has an ideal summer climate with high temperatures in the summer months averaging in the 70’s with low humidity. Winter high temperatures are typically in the 30’s and are mostly bright comfortable sunny days. Average precipitation is in the 15 to 18 inch range with total seasonal snowfall of 80-100 inches. This area of Colorado is well known for Denver residents as refuge from summer heat. Evans Ranch is recognized as one of the oldest and most historic mountain ranches in the state. The first acquisition was around 1868 when John Evans and Sam Elbert purchased 320± acres. Eventually, these holdings grew to over 5,000 acres. Evans and Elbert are significant historical figures in Colorado and two of Colorado’s 14,000-foot peaks bear their name. Over the years the Evans family maintained possession on most of the ranch and used it primarily as a private retreat. In the early 1980’s a dissident family member forced the sale of the ranch. To preserve the ranch from development Colorado Open Lands acquired the property, created the five ownership parcels, the headquarters parcel and the concept behind the cross easements for shared use of the property. 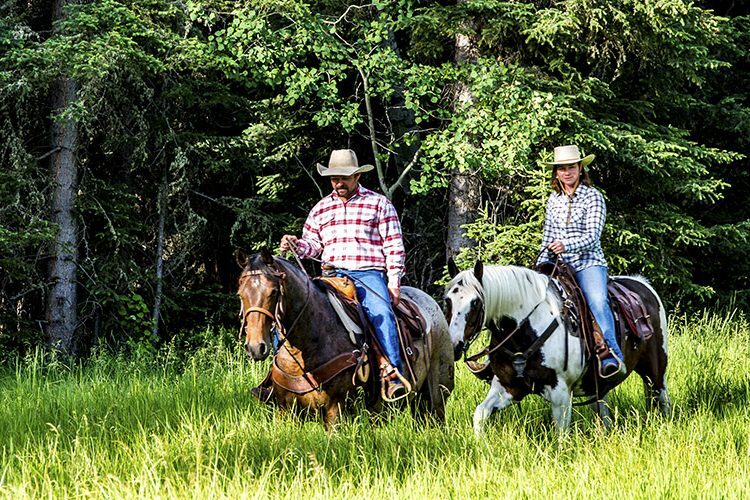 The ranch has been enjoyed by the owners of the five ranch parcels since the 1980’s. The Elk Meadow parcel has been in the same family since the original formation of the Evans Ranch Preservation Association. Ranch parcels have traded very infrequently over the years evidencing the quality of this property. Elk Meadow purchased the 160± acre adjoining parcel in 2005. The 540± acre parcel of Elk Meadow Ranch is one of five parcels within Evans Ranch. The 160± acre adjoining parcel is not subject to the Covenants, rules and regulations of Evans Ranch. This parcel will be encumbered by a conservation easement. 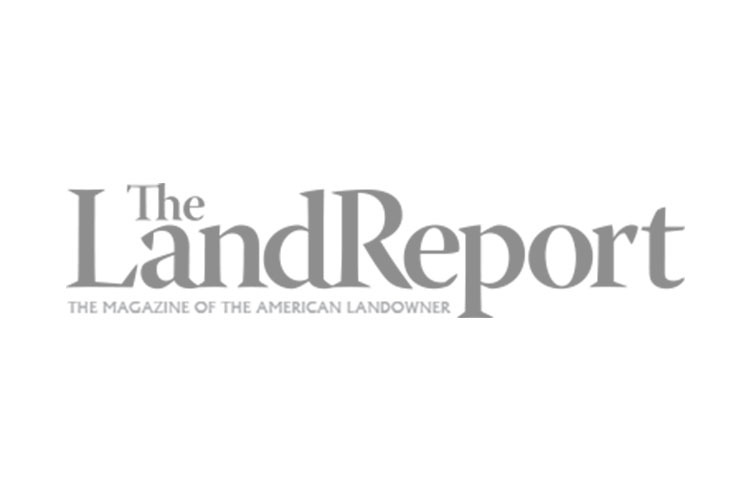 The offering includes Elk Meadow’s ownership rights in one-fifth of real estate, water rights and other assets owned by Evans Ranch Preservation Association. The home on Elk Meadow was constructed in the mid-1980’s by the current owners as a family retreat. The main level contains the master bedroom and bath, kitchen, large living room with an impressive stone fireplace, wet bar and powder room. A walk-out covered deck on this level provides views of the ranch and surrounding properties. A few steps below the main level is a two car garage. Above the garage is a large bedroom designed for children with numerous beds and room for a play area. A few steps above the children’s bedroom are two additional bedrooms, a bathroom and utility room. This level has a loft used as a sitting area and overlooks the living room. The county assessor indicates 4,176 square feet of living area in the home. The entrance gate to the improvements leads to a parking area and smaller workshop building. Evans Ranch headquarters are east of the Elk Meadow parcel. These headquarters are shared by the five ranch owners. Improvements consist of housing for ranch employees, horse barns, storage buildings, a hunting shack and corrals. Owners can keep personal horses at this site. Vance Creek provides the water resources appurtenant to the property used for irrigating a few small hay fields, and for wildlife and fish habitat. The majority of water rights are owned by the Evans Ranch. This includes the recent purchase of augmentation water so the ponds on the property have an assured supply of water. Water for the residence is supplied by a well. Habitat for big game and other wildlife on Evans Ranch is ideal, contributing to a variety of species and excellent game populations. Elk Meadow and Evans Ranch host elk, mule deer, turkey, bear, mountain lion, bobcats and an occasional moose within its boundaries. The entire 3,200 plus acre Evans Ranch is managed for wildlife. National forest, designated wilderness and state wildlife areas are adjacent to approximately two thirds of the ranch boundary, providing a massive undeveloped landscape for wildlife. Hunting on the ranch is superb. 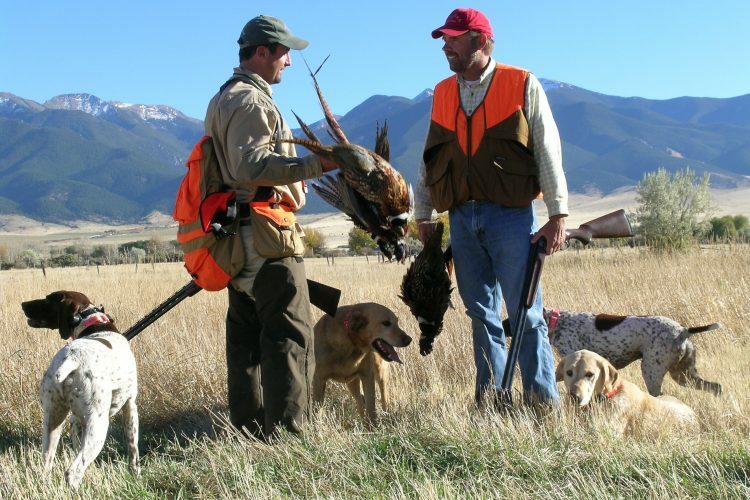 The ranch manager lives on the property year-round and often assists owners on their hunts. It is almost unheard of for a serious hunter on the ranch not to have success on a quality elk or muley every year. In addition to hunting and fishing, there are miles of hiking and equestrian trails on the ranch. For the serious outdoorsman, the property provides direct access to literally hundreds of thousands of acres of public lands. Evans Ranch covenants provide that each owner and their guests have a nonexclusive right and easement of access to the entire 3,245± acre Evans Ranch for recreational uses and purposes, excluding each owners 40-acre homesite. Recreational uses authorized under the easement are the right to cross and recreate on the land by foot, horseback or skis. Fishing and hunting are allowed within the rules and regulations adapted by ERPA. Motorized vehicles are allowed under the easement but only on established roads. The 160± acre parcel of Elk Meadow is not subject to this easement, but current ownership has honored the spirit of sharing enjoyment on these lands with the other owners. Fishing and hunting rules are in place to protect the wildlife resources. Fishing is primarily on the ponds and small creeks throughout the property and is by artificial flies and lures only.Hunting is typically scheduled where each owner takes a season. Schedules are determined by the Board of the Association and are on a rotating basis. Notification is provided to the owners if hunting activity is to occur. Ownership parcels within Evans Ranch are operated jointly. The ranch manager takes care of irrigating, haying, road maintenance, weed spraying and forestry management. Grazing of livestock by owners is permissible, subject to good range management practices and preservation of wildlife habitat. In recent times the property has not been used for cattle grazing. A few horses are often pastured on the property. The primary focus of the ranch owners is to maintain a pristine mountain ranch environment and enhance wildlife habitat. Elk Meadow and the other parcel owners share the onsite ranch manager. This allows the five Evans Ranch owners the luxury of enjoying their properties without worry about the upkeep on the ranch property.